I know I know, point #3 seems a bit harsh but by the time I’m finished, I think it will be hard to come to any other conclusion. Anyway, let’s get on with it shall we. This all started when Marvel had to sell its film rights in the late 90’s to keep from going out of business. They already filed for bankruptcy and were desperate. So Marvel sold the film rights to their most popular characters. 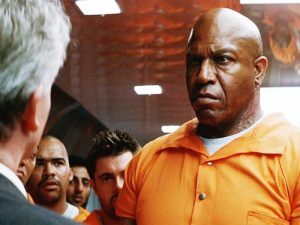 I’m not going to go into a lot more detail here because Dpalm and I did that extensively on our Marvel Movie Character Rights Super Tuesday Recap. All you need to know is that Fox got the X-Men, just about all the mutants and the Fantastic Four while Sony got Spider-Man and friends. While the deals gave Marvel some quick upfront cash, in the end these would turn out to be lopsided deals that favored Fox and Sony. The deals are so lopsided that there is no financial incentive for either Fox or Sony to sell the rights back to Marvel. Both studios paid for the rights up front, so all either studio has to do is produce films using these characters every few years and the rights stay with them. This is why I tell people to stop wishing for the X-Men rights to go back to Marvel Studios. It’s not going to happen. The only reason either studio would sell these rights would be if they ended up in the same financial trouble that caused Marvel to sell off the rights in the first place. This is a key point that will come back later. Remember it. From here its all history. Fox went on to create a series of X-Men films while also making sure to put out an extremely terrible Fantastic Four film every so often to keep the rights. Sony put out the notorious Sam Raimi Spider-Man trilogy. Out of all the characters Marvel sold, Spider-Man is probably the one that hurt the most. Spider-Man is THEE biggest superhero on the planet. And the Raimi films proved this by making almost 2.5 BILLION dollars in three films. By comparison the entire X-Men franchise (including Deadpool) has made 5 billion but it’s taken TEN films to do. It wasn’t until Days of Future Past in 2014 that the X-Men franchise surpassed the global box office of just the FIRST THREE Spider-Man films. Spider-Man sells. Period. As I mentioned before, film rights don’t last forever and eventually expire. Spider-Man 3 came out in 2007 and a year later Marvel Studios launched the MCU which kicked off the cinematic universe craze. Four years later In 2011, Disney/Marvel set Sony up. They strike a deal with Sony to buy back the merchandising rights to Spider-Man while Sony kept the film rights. Remember what I said about studios taking bad deals because of financial troubles? Well from 2007 – 2015, Sony posted losses for 6 out of those 7 years. In 2011 when the merchandising deal was made, Sony was already feeling the weight of financial losses. On the surface it seemed like a great deal: Keep the film rights to one of the most lucrative film franchises ever (its either Spider-Man or Star Wars) while getting cash up front for merchandising Sony never really focused on. In hindsight, this deal was as bad as the initial Marvel deal to sell the film rights. Spider-Man is the most popular superhero in the world. 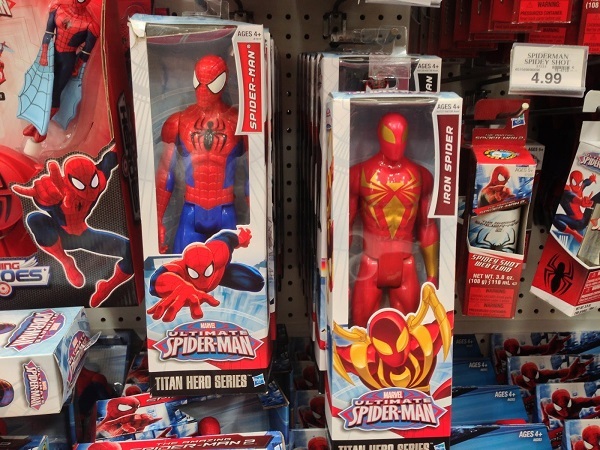 You can always move Spider-Man merchandise even if there is no movie out. By selling the merchandising rights, Sony unwittingly sold easy income for a product that will ALWAYS sell and that is less risky than making movies. But remember, at this point, the Spider-Man franchise is bringing in buckets of money comic book films have never seen before. This is before The Avengers broke a billion at the box-office. From Sony’s point of view, they were the Kings/Queens of comic book films. Spider-Man 3, which IS TERRIBLE still made almost $900 million at the box office. To date, it is the highest grossing Spider-Man film of all time and the highest grossing film(unadjusted) for a solo character next to Iron Man 3 and The Dark Knight. Sony’s Spider-Man films were making “MCU Money” before the MCU. So in Sony’s mind, why not sell the silly merchandising when you’re sitting on a franchise that should make a billion dollars the next time? Last note here and its another important one: This deal for the merchandise is NOT the same as the deal to put Spider-Man in the MCU. Yes, there had been talks about maybe putting Oscorp tower from Amazing Spider-Man into the skyline of The Avengers but Marvel was very clear to say that would have just been a cool nod to fans not actually putting Peter in the MCU. 1) Both films had production budgets of well over $200 million. That’s before the marketing. For comparison, Doctor Strange had a budget of $165 million. The Avengers had a $220 million budget, TASM 1 had $230 million. It’s at this point Sony had to realize that Disney’s Bob Iger removed the safety net from under them. Sony was now faced with a problem they never had before: They spent too much money on Spider-Man films and had no merchandising rights to offset any losses with. And this is how we got the MCU deal. 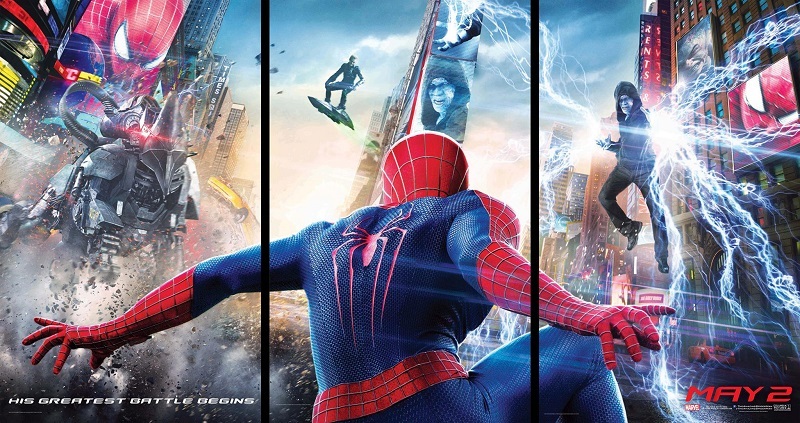 In 2014, Kevin Feige started courting Sony by telling them that Marvel wanted to produce a new trilogy for Spider-Man, for Sony. Sony should have taken the phrase “Beware Greeks bearing gifts” into consideration but with all the controversy surrounding the email leak as well as the financial loses with the TASM series, they were easy marks. It’s very important to realize what the details (that we know of) are. The deal to add Peter Parker to the MCU is basically a handshake deal between two major studios (Sony & Disney/Marvel) and that’s it. 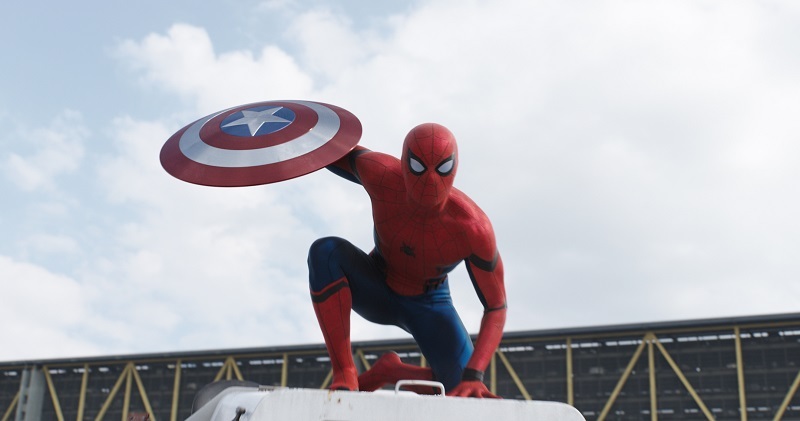 Marvel produces a trilogy of Spider-Man films for Sony and gets to used Peter (with permission) in two MCU films (Civil War and Avengers Infinity War). Sony gets all the profits from the trilogy of solo films (there are suggestions that there are some financial incentives for Disney if the film hits certain goals) and that’s it. People erroneously add in that “Marvel gets the merchandising rights” to this. But the fact is, Marvel has had the merchandising rights since 2011. That’s not part of this deal. Remember this. So here we are. A week before Spider-Man: Homecoming releases. Sony gave Feige and Marvel Studios “complete creative control” over the film and so far, it’s looking like it will be a major win. I’m still under embargo but I’ll say this: The film is fantastic and probably my favorite Spider-Man film to date. Why? Because as Republicans in congress are finding out with Healthcare, it’s really hard to take something away that people like. Spider-Man interacting with the MCU is something fans have been dying to see. The very first issue of Amazing Spider-Man features Peter going up against the Fantastic Four. Also early on, J Jonah at one point hires Luke Cage to bring Spider-Man in. 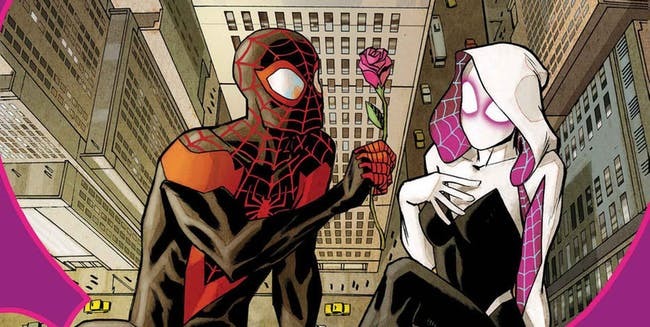 One of the funniest pairing in comics lately has been seeing Deadpool & Spider-Man together. Yes, Spider-Man is a great solo character but he’s even better when he’s interacting with other heroes. And that’s what fans want. They were given a glimpse in Civil War and I can say that Homecoming, fully integrates Peter Parker into the DNA of the MCU. 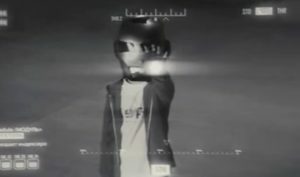 Marvel is going as far as saying that the little kid in an Iron Man mask in Iron Man 2 was in fact, Peter Parker. They’re digging the knife into Sony even deeper. By now Sony is realizing this. They realize that from here on out, people will associate Spider-Man with the MCU. And for the next few years, that will be true. But what happens when the Spider-Man trilogy comes to an end? How does Sony move forward with the Spider-Man film rights outside of the MCU. Because once this current handshake deal is over, Disney/Marvel have no incentive to continue to work with Sony for free. Remember, this deal is basically one major studio making a film for another major studio, and getting none of the money made from the film. This is where the merchandising rights come in. Sony is looking to build its own cinematic universe outside of the MCU with other Spider-Man characters they own. They have a Venom movie scheduled to come out next year (not happening) as well as a Black Cat & Silver Sable movie. But here’s the thing: If the merchandising rights are anything like film rights, guess who owns the merchandising rights for both those films? Disney/Marvel do. Therefore the idea that Disney/Marvel will keep the terms of the deal the same once the trilogy ends makes no sense. What business would agree to a deal that involves them keeping what they already have with nothing extra coming in? Disney and Marvel win here no matter what happens. If Sony decides to part ways at the end of the trilogy, Disney and Marvel will still rake in money off of any Spider-Man and friends movie Sony makes. If Sony wants to continue the deal, Disney/Marvel can then demand revenue sharing from the films that are made. If Sony goes that route, eventually they’re just going to cash out and sell the rights completely back to Marvel. Oh but remember, film rights don’t last forever. If Sony stops making films, the rights go back to Marvel…for free. So at this point, Marvel makes money no matter what happens here with the added bonus of getting the use of Peter Parker in most of these scenarios. Now Sony could just pull a Fox and be happy with whatever money they have coming in. Problem is, Sony’s Pictures Division loses a lot of money. Like…A LOT OF MONEY. Honestly the more I think about it, this might be an even bigger move by Disney to just buy Sony’s entire film division. But that’s a discussion for another time. Anyway, no matter what Sony decides to do when the trilogy ends, the real winner is Disney/Marvel. That’s a good question for Sony. They’re clearly trying to set up a cinematic universe using Spider-Man characters. And who knows, that might work. They could even bring in a character like Miles Morales to be Spider-Man in that universe. But this also shows the long game that Disney/Marvel has been playing. First, they’ve reacquired the rights to many of the New York based street level villains and heroes. Fun fact: Both Kingpin and Punisher first appeared in Spider-Man comics. When it comes to Miles, while he does interact with classic Spider-Man characters, in the comics Marvel has been doing a great job of tying his existence to characters they own film rights for. Miles is closely tied to SHIELD, Luke Cage and Jessica Jones. Depending on how Secret Empire turns out, he could also have a huge impact there. 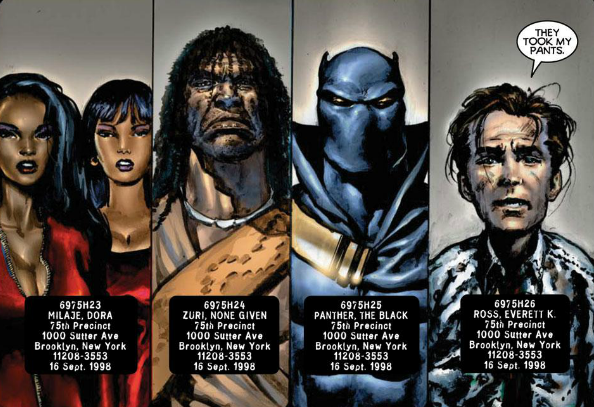 When Marvel launched All-New All-Different Avengers, Miles was a central character and all the other characters on that team where owned by Marvel. The calls to have Miles join the MCU would be even greater than for Peter, particularly if Marvel Studios brings in a character like Kamala Khan. Sony ends up right back where they are today. Disney and Marvel were playing chess while Sony was playing checkers. Disney called ‘check’ 6 years ago and Sony didn’t realized it until now. Sony could very well launch some successful Spider-Man movies on their own. But without the merchandising rights all their paths eventually lead back to sitting down at the table with Disney to strike up another deal. In the end this probably all works out for us the fans. The more fans demand Spider-Man in the MCU, the closer the walls surrounding Sony get. Sony is going to try to launch their own cinematic universe but the call of the MCU will always be a cloud that hangs over them and forces them back to the table.